Name: The name of this body shall be ALA Allied Professional Association (ALA-APA). Object: The object of the ALA-APA shall be to promote the mutual professional interests of librarians and other library workers. The ALA-APA is a private, nonprofit, tax-exempt, voluntary entity. No part of its net earnings shall inure to the benefit of, or be distributed to, its Directors, Officers, or other private persons, except that the Board shall be authorized to pay reasonable compensation for services rendered and to make payments and distributions in furtherance of its purpose. The bylaws and policies of the ALA-APA shall conform with ALA policies. 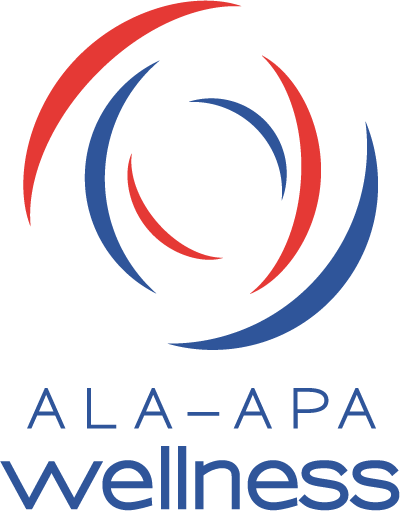 The ALA-APA is a non-membership organization. The ALA-APA Council shall consist of those individuals who are concurrently serving as members of the ALA Council. The ALA-APA Council shall be the governing body of the ALA-APA and shall determine all policies of the ALA-APA. Its decisions shall be binding on the ALA-APA. The ALA-APA Council shall hold at least two meetings each year, in conjunction with the ALA Midwinter Meeting and ALA Annual Conference. All meetings of the ALA-APA Council shall be open to ALA members and the press. The quorum for the ALA-APA Council shall be the same as that for the ALA Council. The ALA-APA Board of Directors shall consist of those individuals are who concurrently serving as members of the ALA Executive Board. The Board of Directors shall act for the ALA-APA Council in the administration of established policies and programs. The Board shall be the body that manages, within this context, the affairs of the ALA-APA. The ALA-APA Board of Directors shall hold at least one meeting each year. All meetings of the ALA-APA Board of Directors shall be open to ALA members and the press, except for discussions affecting the privacy of individuals or institutions, or on confidential legal matters. A majority shall constitute a quorum of the Board of Directors. The officers of the ALA-APA shall be those individuals who are concurrently serving as officers of the ALA. The ALA-APA Board of Directors or Council may establish standing or special committees and prescribe their purpose and composition. Only personal members of ALA shall be appointed to these committees, except by authorization of the ALA-APA Board of Directors or by Article VII B of these Bylaws. In such cases, a majority of members must be personal members of ALA, and the quorum shall be a majority of the members of ALA on that committee. There shall be a standing certification review committee for each proposed certification specialty program, appointed by the ALA-APA Board of Directors, to exist for the life of that program. Each Certification Review Committee will include active practitioners and library and information studies educators. Each review committee must include at least one representative of the public (who may not be a librarian or employed by a library). The purpose of a certification review committee will be to oversee development and administration of a validated method of measuring competence, based on the subject standards for professional practice, licensed from the American Library Association; establishment of an appeals process for the specific program; and, other implementation processes, subject to the approval of the ALA-APA Council. Appointments to each certification review committee will be for four years, non-renewable. Initial appointments will be staggered. The certification review committee(s) will report to the ALA-APA Board of Directors and ALA-APA Council. There shall be a standing committee of nine members, appointed by the ALA-APA Board of Directors, to guide ALA-APA activities in support of better salaries, comparable worth, pay equity, and similar programs related to the status of librarians and other library workers. This committee will report to the ALA-APA Council at each regular meeting. Notwithstanding the provisions in Articles IV, V, VI and VII, an individual who is unable or unwilling to serve as a member of ALA-APA Council, Board or Committee shall be entitled to submit a written resignation to the Executive Director, and upon submission of said resignation, that individual shall cease to be a member of the respective body. The accounting (fiscal) year will be that of the ALA.
Proposals for amending these bylaws shall originate in the ALA-APA Board of Directors or the ALA-APA Council. These Bylaws may be amended by a two-thirds vote of the ALA-APA Council, provided that notice of at least thirty days of the proposed Bylaws amendments shall be given to all Council members, or if no notice is given, the Bylaws may be amended by a three-fourths vote of the ALA-APA Council. Upon dissolution of the ALA-APA, the Board shall, after paying or making provision for the payment of all liabilities, contribute any remaining assets to the American Library Association. Adopted. ALA-Allied Professional Association Council, 2003 Midwinter Meeting. Amended, 2004 Annual Conference. Amended (Articles VII and VIII), 2005 Midwinter Meeting.